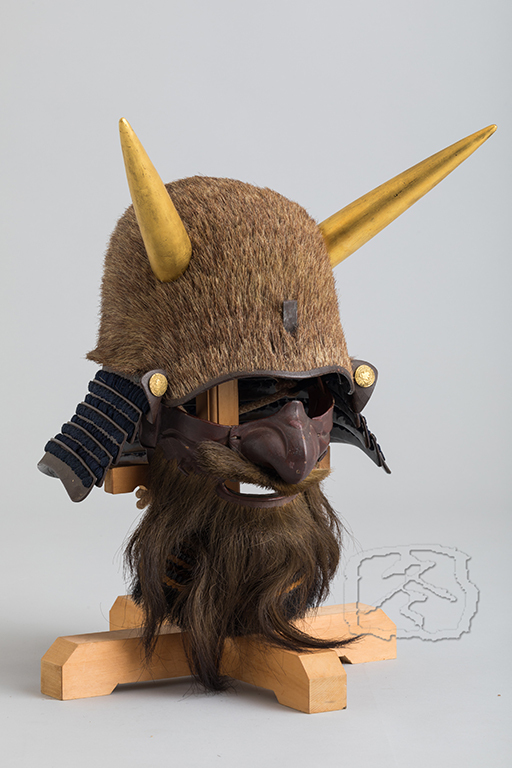 The iron ‘zunari’ shaped helmet is decorated with what is probably wild boar fur with gilded wood horns for ‘wakidate’ (side crests). 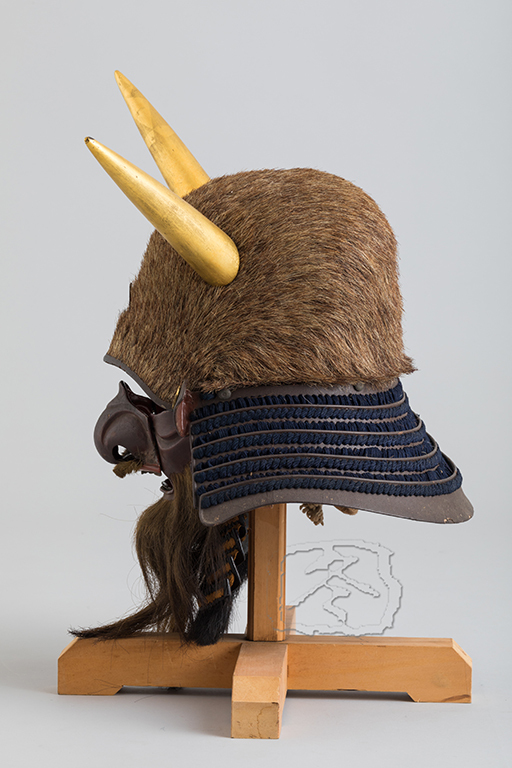 The small ‘fukigaeshi’ (turn backs) carry gilded copper heraldry of an unidentified clan. 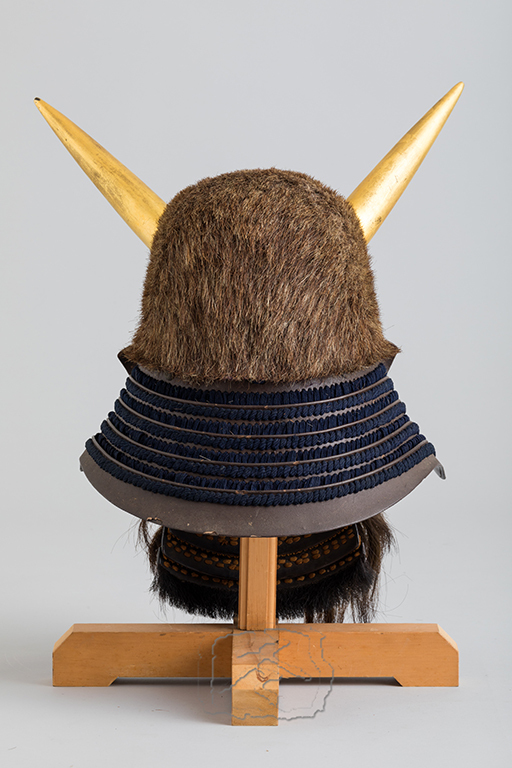 The ‘hineno shikoro’ (close fitting neck guard) is made of five lames of russet lacquered iron plate with ’kebiki odoshi’ (close spaced) navy blue silk lacing. 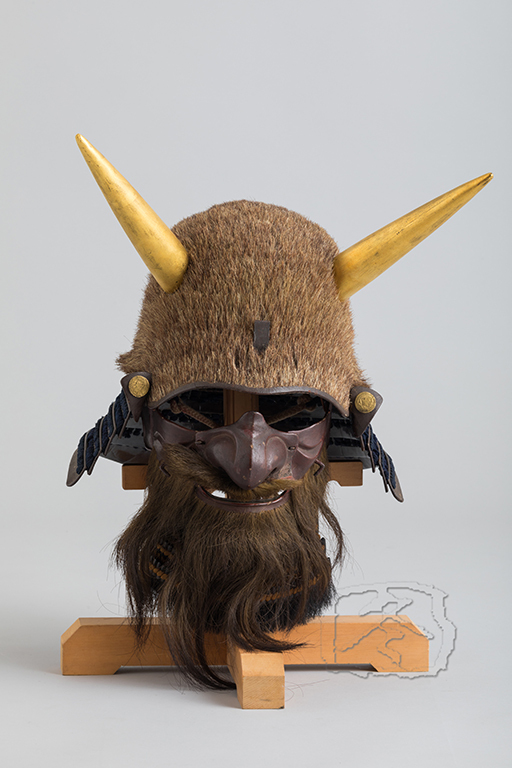 The mask is made of russet lacquered iron with large removable bulbous nose, ‘orekugi’ (bent pins on the cheeks), unusually thick moustache and beard, red lacquered lips and silver gilded teeth. 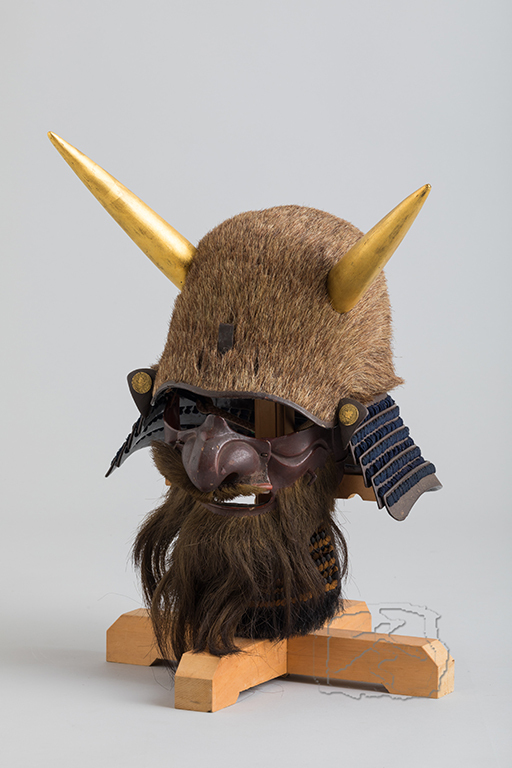 The ‘tare’ is made of four lames of russet lacquered ‘kiritsuke kozane’ (false scales). 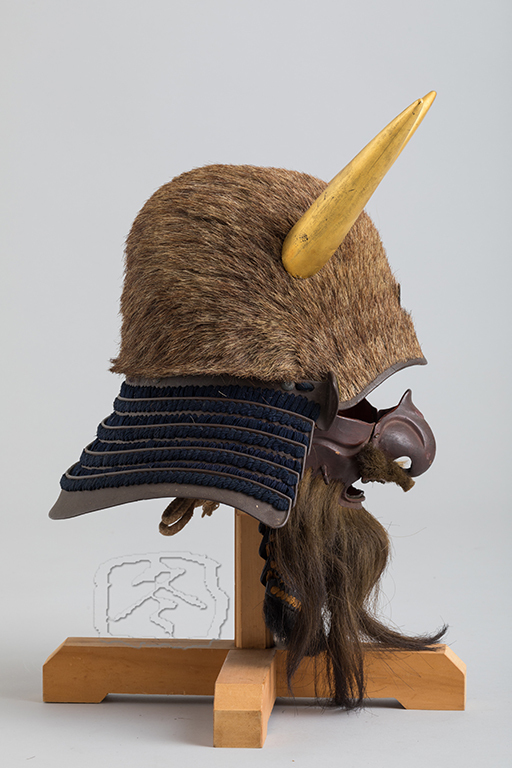 The bottom lame is trimmed with animal hair.